“Everyday Fancy” by Courtney Lapresi, the winner of MasterChef Season 5. Book for sale May 19, 2015 and available at Amazon. A new season of MasterChef US is set to begin in a few weeks (May 20, 2015 on the FOX network, to be exact), so it’s time for my annual round up of the previous season’s contestants: Where are they now? Who has gone back to his or her “day job”, and who has gone on to pursue a dream of working in the food and cooking industry? Let’s go down the list, starting with the first eliminated and through to the season’s winner. Of the 22 contestants who made it through the initial cut in the kitchen, Astrid Lavenia was the first to go home. The “Food Sales Representative” from Louisiana, who had been the co-owner/operator of the restaurant Meson 923 between 2008-2011, is now listed as the “DSR” for the Ben E. Keith Foods company since 2014, according to her LinkedIn profile. She is also listed as the owner of a new business “to be known”, so perhaps she is working on opening a new restaurant or other business venture at this time. Stephani Syfax-Shepherd, a server from Detroit, departed next after barely getting by with her meatloaf; in the next pressure test she failed to do well producing a blueberry pie. 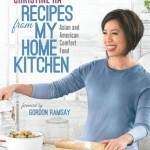 She is now apparently living in Cincinatti and working as a personal chef—for the Cincinatti Bengals player A.J. Green, according to an April 2015 appearance on Fox 19 where she prepared her Lemony Garlic Shrimp Scampi Pasta. Gordon Houston, the law student from Irvine California, mysteriously withdrew from the competition before the next challenge, due to an undisclosed illness. There’s not too much information available about him since then, although in one Facebook post (on his official MC Facebook page) he mentions studying for and taking the bar exam in July 2014, and “offering a few cooking demo’s and classes” after that. Kira Novak, the medical recruiter from Youngstown Ohio, went home in the next elimination round after her donuts tasted more like “kaiser rolls”. She now has a website, Cooking with Kira, where she offers her services as a personal chef and personalized cooking classes in the Chicago area. You can see more about her background and experience on her LinkedIn profile and her Cooking with Kira Facebook Page. Jordan Kaminski was the 19 year old college student from Wisconsin, who overcooked his steak in a steak frites elimination test and also had limp fries. According to an October 2014 article in “MuskegoNow”, Jordan is still in school but working part time for a catering company. Tyler Viars was the Hunting Sales Manager from Ohio who served the wrong panna cotta to the judges, a critical error which sent him home. His LinkedIn profile shows he is now a “Land Specialist” for Whitetail Properties, a real estate company specializing in “hunting, ranch and farm land.” He also has been promoting his “Cookin’ in Camo” brand on Facebook, Twitter and Instagram. Francis Biondi was the restaurant server from Florida, who went home because of his over oily spring rolls. After his elimination, he launched his website Cooking With Confidence, and now offers cooking classes and pop up dinner events in the Orlando area. Dan Wu from Kentucky was eliminated next for the strange texture of his red velvet cake. In a September 2014 feature in Chevy Chase magazine, Wu says the experience of being on the show transformed him from an unemployed “slacker” to a “culinary evangelist”. He still resides in Lexington and has a weekly local radio broadcast where he talks about food, farming and more. You can keep up with his ongoing local events and radio broadcasts about food on his Culinary Evangelist Facebook page. Elise Mayfield, an e-learning administrator/actor originally from Alabama, was eliminated due to her continued poor performance in the competition and bad pasta entree when given a basket full of great Italian ingredients. It was something watching her downfall on the show, as after the premiere episode I’d actually had her pegged (not by shown skills but tv editing) as a possible winner of the season.. Her website, Adventures in a Tiny Kitchen, shows her still doing occasional acting work in the Chicago area as of January 2015. She also took part in the 2015 Reality Rally, a breast cancer fundraising event which occured in April of this year. Christine Silverstein, an investment director from Yonkers New York, was sent packing when her box of chocolate truffles didn’t make the cut. 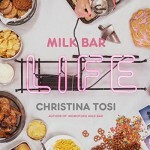 On her website, Christine Berni Silverstein, she mentions that she had previously worked as a sous chef in “the well-known Ferrari and Berni Family kitchens in Queens, NY” and how she uses cooking to heal from the loss of a beloved childhood friend. She is available for appearances and cooking events while, according to her LinkedIn profile, continuing to work as an investor relations director for a pharmaceutical company. Francis Legge, the Scottish music video director from New York City with a love for molecular gastronomy, went home when his caramelle pasta was more style than substance according to the judges. He’s still doing music videos and recording live shows in NYC, focusing on 3D filming, and still cooking up a storm according to his Twitter stream, @francisfilms. 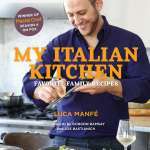 His Facebook page also mentions him being a Chef at Williams-Sonoma, but it’s unclear if that information is current or past, and his website, francislegge.com, appeared to be down at the time I wrote this article. Victoria Scroggins, the bartender from Texas, went home after a pressure test involving three preparations of prawns. Her website www.scoutfoods.com which was up and running last year now is down, but you can keep up with her on her Twitter account @raconteurcook. She is making occasional food-related appearances (including a recent appearance with Christine Silverstein at Forks, Corks & Cocktails in NYC) and still part of hosting Tell It: Brooklyn, an open-mic storytelling series, which she had been involved with since before her MasterChef days. 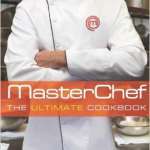 Daniel McGuffey, the video game designer from Los Angeles, was eliminated after a challenging three-stage elimination round of poached egg, egg yolk ravioli, and cheese souffle. Turns out he now has a band, The Pride, which has released an EP entitled Yakuzamerica. You can catch up with Daniel on his Twitter and also check out a recent interview at The Imaginarium podcast from March of 2015. He also made an appearance in January at the LA Cookie Con and mentioned he is also working at the Sherman Oaks restaurant Tipple & Brine. “Big” Willie Mike was an early fan favorite in season 5, the church music director from Houston, Texas who stumbled in a tag-team dim sum pressure test. He hasn’t been keeping up a high online profile since then, but in a Tweet on March 10th of this year he announced that he is currently working on a cookbook. You can also follow what he’s up to on his Chef Willie Mike facebook page. Jaimee Vitolo, bakery assistant from New York, was on the losing team of the dreaded restaurant takeover challenge for the top 6 contestants. She then lost out in, of all things, a baking-related pressure test to make an elaborate croquembouche (no, I’d never head of them before, either.) She has since become an awareness advocate for dystonia, a condition she finally received diagnosis for after MasterChef was filmed. She started a blog in September 2014, Tiny Whisk, although it has only been sporadically updated (last entry was in November). 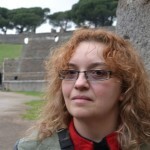 She is more active in updating with her cooking adventures on her Facebook and Twitter accounts. Christian Green, a sales representative from New Orleans, seemed to have a good chance of making it all the way to the finale. But when given brains to cook by Courtney in an offal pressure test, the results didn’t wow the judges. After his elimination, he announced plans to hopefully open a food truck in New Orleans this coming summer – with some help from Gordon Ramsay. He actively updates his Facebook page, ChristianGreenChef, and his Twitter account. Cutter Brewer, the Petroleum Landman from Texas, was a surprise to make it to the final four after some close calls at elimination early on. But eventually he went home after being in the bottom two with Leslie, cooking from a selection of California ingredients. In January of this year he actually opened his first restaurant, one specializing in Texas comfort food called Ace’s Ice House and Chop Shop (so far the Yelp reviews are fairly mixed). He is active on Twitter at @cuttbrew80 and at the same handle on Facebook. Similarly, not many believed that “stay-at-home dad” (and occasional Hollywood actor and producer) Leslie Gilliams would make it to the top three this season. The oldest contestant on MasterChef to ever get that far, he eventually failed to beat Courtney for a spot in the finale when challenged to make three American regional pies. He launched a website after the season ended, Malibu Sunshine, although the blog only has a few entries and recipes and was last updated in October. On Halloween 2014 he was arrested in Malibu for public brawling. You can keep up with Leslie on Twitter @GilliamsLeslie. Brooklyn-based advertising executive Elizabeth Cauvel was the runner up for Season 5 – the first contestant ever to never be on a losing team in a team challenge nor in the bottom 2 or 3 of a pressure test. She has kept up the blog at her website, Elizabeth Cauvel Cooks, with some regularity. The website lists her as available for private dinners and events, consulting, as well as content writing and social media. Her LinkedIn profile says she is now Associate Creative Director at MRY in New York, so she continues to balance cooking with her original career from before MasterChef. That leaves us with Courtney Lapresi – the “aerial dancer” from Philadelphia who ended up winning the season’s competition, the $250,000 prize money and cookbook deal. 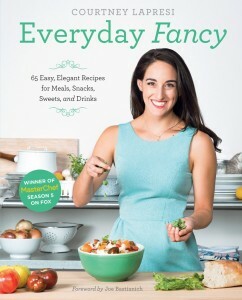 Her cookbook entitled Everyday Fancy: 65 Easy, Elegant Recipes for Meals, Snacks, Sweets, and Drinks is scheduled for release on May 19, 2015. She launched a website immediately after her win was announced, The Posh Tart, although it never seems to have been developed beyond a “coming soon” splash page (its associated Twitter account @theposhtart was last updated in November 2014, so perhaps it was abandoned). Instead she is more active on her “Official Courtney Lapresi” Facebook page and on Twitter at @ChefCourtneyL.